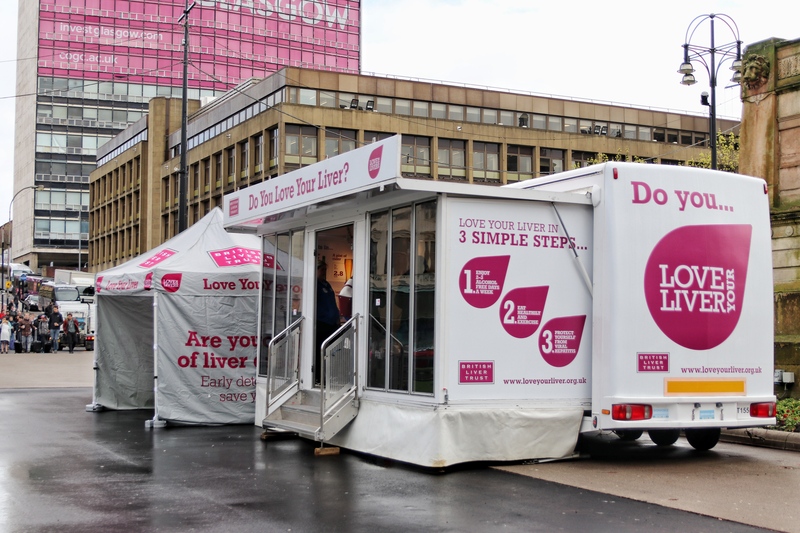 The Love Your Liver mobile screening and scanning unit will be visiting 5 liver disease hot spots across Wales between 19th to 23rd November. More than 600,000 people in the UK have a significant degree of liver damage and the British Liver Trust estimates that over 90% of these cases could have been prevented. In Wales, 807 died of liver disease in 2015 alone, representing an increase of almost 20% in the country over the past five years. Members of the public are invited to attend one the Love Your Liver roadshows where they can assess their risk of getting liver disease, find out what preventative measures they can take to keep their liver healthy and be offered a free liver scan. The roadshow locations are below.